Coffee is big business in Vietnam. Did you know that Vietnam is the second largest exporter of coffee in the world behind only Brazil? It's not hard to find a coffee shop in Vietnam since they are popular hangout spots. You can pretty much find one on every street corner in HCMC. Nescafé is a brand of instant coffee made by Nestlé, a Swiss company. So how does a foreign company win over the local citizens? ...with marketing and branding of course! In order to promote Nescafé, popular singer Đông Nhi released a special version of her song Hãy Nói Yêu Em (Shake The Rhythm Remix) this summer.1 Call me crazy, but some elements of the song remind me of the Harlem Shake. 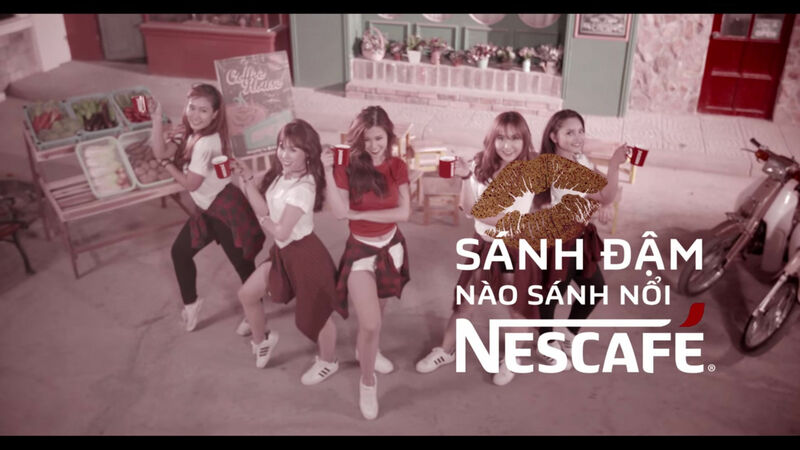 Đông Nhi Shakes It for Nescafé Coffee is big business in Vietnam. Did you know that Vietnam is the second largest exporter of coffee in the world behind only Brazil? It's not hard to find a coffee shop in Vietnam since they are popular hangout spots. You can pretty much find one on every street corner in HCMC. [! [Hustling coffee for Nescafé](http://storage.vpopfan.com/dongnhicoffee.jpg "Đông Nhi")](http://storage.vpopfan.com/dongnhicoffee.jpg) Nescafé is a brand of instant coffee made by Nestlé, a Swiss company. So how does a foreign company win over the local citizens? ...with marketing and branding of course! In order to promote Nescafé, popular singer Đông Nhi released a special version of her song *Hãy Nói Yêu Em (Shake The Rhythm Remix)* this summer. [^1] Call me crazy, but some elements of the song remind me of the *Harlem Shake*. <iframe width="640" height="360" src="https://www.youtube.com/embed/cs_hFwe9nQc?rel=0" frameborder="0" allowfullscreen></iframe> --- Notes [^1]: "Hãy Nói Yêu Em" translated means "Please Say You Love Me." Shake the Rhythm is the English working title.